2017 Kia Soul Exclaim Clear White Call today to check AVAILABILTY and ADDITIONAL INFO. 26/31 City/Highway MPG CHOOSE YOUR NEXT USED CAR WITH CONFIDENCE! EXPERIENCE CAR BUYING WITH LOU SOBH AUTO. 2018 Kia Sportage LX Mineral Silver Call today to check AVAILABILTY and ADDITIONAL INFO. 23/30 City/Highway MPG CHOOSE YOUR NEXT USED CAR WITH CONFIDENCE! EXPERIENCE CAR BUYING WITH LOU SOBH AUTO. 2018 Kia Optima S Ebony Black Call today to check AVAILABILTY and ADDITIONAL INFO. 23/32 City/Highway MPG CHOOSE YOUR NEXT USED CAR WITH CONFIDENCE! EXPERIENCE CAR BUYING WITH LOU SOBH AUTO. 2017 Kia Optima EX Horizon Blue Navigation System. Call today to check AVAILABILTY and ADDITIONAL INFO. 24/34 City/Highway MPG CHOOSE YOUR NEXT USED CAR WITH CONFIDENCE! EXPERIENCE CAR BUYING WITH LOU SOBH AUTO. 2017 Kia Sorento LX Titanium Silver Call today to check AVAILABILTY and ADDITIONAL INFO. 21/28 City/Highway MPG CHOOSE YOUR NEXT USED CAR WITH CONFIDENCE! EXPERIENCE CAR BUYING WITH LOU SOBH AUTO. 2016 Kia Sportage SX Black Cherry Call today to check AVAILABILTY and ADDITIONAL INFO. 20/26 City/Highway MPG CHOOSE YOUR NEXT USED CAR WITH CONFIDENCE! EXPERIENCE CAR BUYING WITH LOU SOBH AUTO. 2017 Kia Sportage SX Red Call today to check AVAILABILTY and ADDITIONAL INFO. 21/26 City/Highway MPG CHOOSE YOUR NEXT USED CAR WITH CONFIDENCE! EXPERIENCE CAR BUYING WITH LOU SOBH AUTO. 2017 Kia Sportage EX Black Cherry Call today to check AVAILABILTY and ADDITIONAL INFO. 22/29 City/Highway MPG CHOOSE YOUR NEXT USED CAR WITH CONFIDENCE! 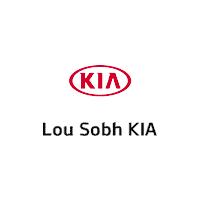 EXPERIENCE CAR BUYING WITH LOU SOBH AUTO.